I had the opportunity to lead seven Colorado State University students on a service trip to the Chiquitano Forest in Bolivia from May 15-26. 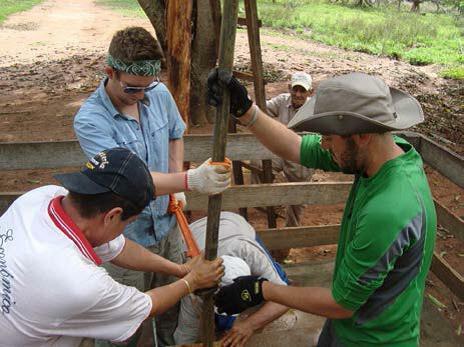 While in country, we partnered with Engineers in Action and the Fundacion para la Conservacion del Bosque Chiquitano to repair nine hand-pumps in local villages. In preparation for this report, I documented all of our training curriculum and timeline. In addition, each student completed a pre- and post-trip report/reflection. In this report, I will highlight the impact of this trip on the student participants and on the Chiquitano. I will also briefly outline our training and make recommendations for future trips. Albert Einstein said, “The value of a college education is not the learning of many facts but the training of the mind to think” (1921). Throughout the trip, I hoped to engage students with an experience that they could connect to what they had learned in the classroom. The students’ pre-trip applications focus on the impact they want to make, not their own learning; that is, when they apply they see themselves as difference makers more than students. Throughout our training and while in-country, we habitually talk about showing up as students first. In their post-trip reports, students highlighted again and again the connection they made on this trip to their in-classroom learning. Here is one reflection from an engineer about how this trip connected to their in-classroom learning. The Civil Engineering curriculum at CSU gave me the tools to learn how to think critically. This skill set was invaluable throughout the entire trip, but most notably when the team was presented with Catherine’s hand pump on the farm near Santiago. As with most assignments, students must first identify the problem. The obvious problem was that the hand pump had not been operational over the last two years; but the more difficult problem lay in the cause of the nonfunctional pump. The team had to use all our ingenuity to take apart the pump, discover the problem, create a remedy using scraps from around the farm, and reassemble the pump. This was very exciting. Redox reactions from Chemistry 111 and 113 suddenly became relevant when using Coca Cola to remove rusted bolts, Statics and Mechanics of Solids lessons explained how to maximize forces using simple hand tools to disassemble the pump, and Smash Lab reports taught of tension, compression, and torsion forces to ensure brittle components would not fail during the process. After several hours and many clever ideas, the pump was ready to be reinstalled…We did it…we passed our real-life final examination. No one ever told me that I would learn just as much outside of the classroom than inside the classroom while in college. The project was a reminder of the scope and challenges that an engineer must consider, especially at the design stage. Fluid Mechanics class helped me understand how the mechanisms in the pump lifted water up into the well. The knowledge I had learned from Pollution Control class helped me recognize the different tests we performed, as well as understand the results. Fluids mechanics (CIVE 300) trained me on water flow and water properties. I had prior knowledge of a filtration system we presented in Bolivia from the Introduction to Geotechnical Engineering (CIVE 355) course. From Materials class, I learned that replacing the iron pipes with steel pipes would reduce the amount of rust that was formed in the well. 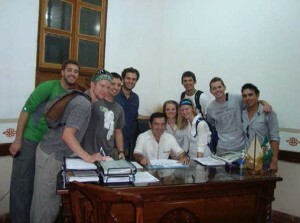 It was the most encouraging experience I have ever had in my learning and practice of Spanish. What most connected to me was the effect water has on the political municipalities of the villages in Bolivia. It became very apparent how that when a village does not have adequate drinking water to sustain the village’s populace the remainder of the political, social, and educational constructs crumble. Cultural respect, learning, and discovery were an integral part of our trip to Bolivia. We worked as a team to understand Bolivian culture before we left and while on the trip. Although many students experienced the frustration of a language barrier (and wish they had taken Spanish while at CSU), all reflected on the impact of personal relationships and the value of learning about another culture. Here are a few comments related to what they learned about culture. 3 Before I arrived in the country, it was a goal to be as respectful of cultural differences as possible. I thought this meant only listening and learning, but upon entering our first small community, I realized participating and sharing was also a huge piece of respecting a foreign culture. Traveling to Bolivia helped me learn more about the differences in culture, and most importantly how to adapt to the new culture. As a woman in the engineering profession, a male dominated field, being a part of this culture helped me learn more about how to work with a variety of people. This trip helped me realize that no matter where we may be from, we are all humans. We all have the same need for clean water, air, and food. It also taught me to never underestimate the power of a smile. In Bolivia, I reaffirmed to myself that clean water is my biggest passion and that I can actually do something important to promote safe water in small communities. I want to tell my story and share my experience with as many Colorado State students and faculty as possible. I learned that I want to be a connector…the leaders we were working with were able to unite different organizations through common goals and obtain both the political and financial backing of the local leadership. I most certainly want to become more involved with foreign engineering projects. I hope to work for a civil engineering company that works on projects all over the world, specifically in areas of great need. I have discovered my passion for…leading through service. I realized that this is what I want to do in my life. To help others in one small way that could make a huge difference in the world. It is my hope that this degree will help me secure a position at an engineering firm focusing on water resources and put me in a position where I can influence other individuals to join me on another service trip. By donating my time and effort to this trip, I was able to learn a lot about myself and reevaluate my goals based on newly discovered passions. EIA has worked with dozens of college groups from around the country, often led by faculty members or EWB chapters. FCBC has worked with hundreds of college groups, Rotary Clubs, and other organizations. 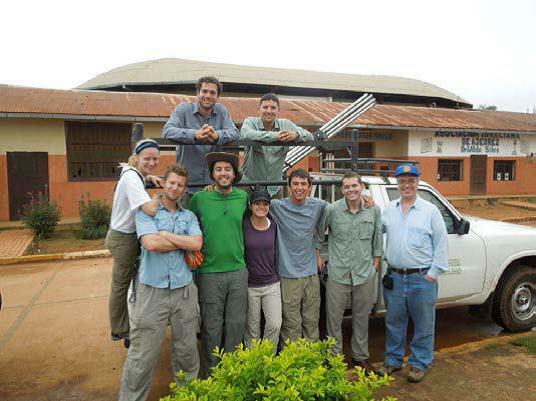 While in-country, FCBC and EIA staff commented that we were the most well-prepared group they had ever worked with. They said that our team was the best prepared for the work we were doing and the most culturally aware and sensitive group they had partnered with. Throughout the trip, the continually commented on the positivity and flexibility of our team, which I believe is due to the team building and group preparation that we did as a group. The Engineers in Action (EIA) representatives commented that our team was prepared exceptionally and were surprised at how much we knew about the pumps. The training leading up to the Bolivia trip was very helpful and prepared our entire team for the cultural and engineering aspects of the trip. The training for the trip gave me the confidence to feel like I knew what I was doing once we were in Bolivia. Not only did we learn more about what we would be doing in the country, we also go the chance to get to know each other better and bond as a team. Training for this trip was one of the highlights of my week. Working hands on with many of the tools that were used was very helpful. In closing, I have seven recommendations for future trips. These recommendations are specific to trips with the College of Engineering at Colorado State University. Although our trip was successful, because we focused on training in-country leaders, doing hand-pump maintenance in the same region is not as critical at this point. I recommend that the College of Engineering consider allowing future trips to be the implementation of a Senior Design Project. Students on a team could work together to develop a plan and then travel to implement that project. Because we have strong in-country partners in Bolivia who are trained engineers, they could help clarify the scope of this project. 4. Collaborate with Engineers Without Borders. For these trips to be sustainable, we should look to partner with Engineers Without Borders. This is a national organization that generally has a permanent location on the CSU campus. The student leadership may be more permanent and sustainable than having a staff member, for whom this trip is not in their job description, as the primary driver. 1. Continue to work with in-country partners to develop projects, build relationship, and maintain the sustainability of the work we do. is paramount that the trip leader develops relationships with resources in-country to create a plan, clarify expectations, and develop solutions. For this specific trip, I had training in group dynamics, team building, cultural sensitivity, and the actual work (pump maintenance) that we would be doing. I also was able to dedicate my time to creating a syllabus, training the team, and implementing the trip – all of which was outside the scope of my employment. Because of the complexity of this trip, I believe a staff member is needed – though I do not think they necessarily have to be the only trip leader. If the staff member is going to be going multiple years, the cost of their trip should be partially offset by students’ fundraising. Although we did important work in Bolivia it was the cultural preparation, team building, and clear expectations that made the trip great. The engineering students often did not understand why we would need to talk about the cycle of poverty and oppression, but they were glad they did once we were in Bolivia. Pre-trip reflection and engagement is important to their learning, as is post-trip reflection. 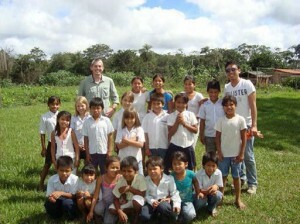 Students want to go on these trips to make a difference. They have to be reminded that they (like the staff member) should continue to be good students. Reminding students that they still represent CSU also helps curb any misbehavior (i.e. students are still held to the student conduct code). During our daily group time, I would remind the group to be good students, to listen more than they talk, to ask questions. I want students to go on and to lead future trips, so I would encourage them to constantly be asking, “do I know how to do that?” I wanted them to learn by doing. Every day in Bolivia we would sit in a circle and talk. This reflection and processing is critical in students’ ability to retain knowledge. Every day we would ask: 1. What was the best part of the day? 2. What was the hardest part of the day? 3. What did you learn today? 4. What do you need for tomorrow? Training for this trip was integral to our success. We met every week for the spring semester to unite our team, get familiar with our equipment and project, and learn about our role and responsibility on the trip. We covered safety, respect, the cycle of poverty, and team dynamics. A more detailed syllabus is located at the end of this report (Appendix A). I went through a week-long training on hand-pump maintenance and received certification in pump repair. …by simply repairing a ground water well in one local village will now help provide 12 families in the area with sustainable drinking water. Gaining clean water will improve their health and increase their quality of education. 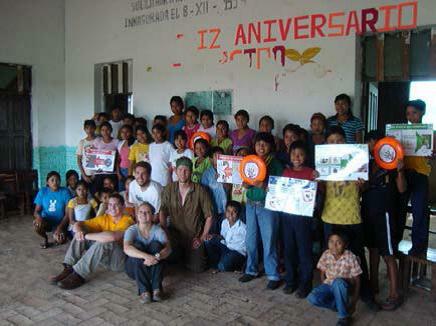 Improving education can lead to improving the economy of the country and ultimately help Bolivia get out of poverty. Some of our student participants applied because they hope to do work in the developing world through ongoing service or in their careers. Others applied because they had never travelled before, some because they wanted to try something new. Here are a few student comments about how they intend to apply what they have learned to their future. While in Bolivia, we repaired eight India Mark II hand-pumps and one Pitcher Pump. We worked side-by-side with technicians from Engineers in Action (EIA) and Fundacion para la Conservacion del Bosque Chiquitano (FCBC). EIA is a non-profit organization that works specifically in Bolivia and hires Bolivian engineers and FCBC is a Bolivian regional government agency. These in-country partners were fabulous. I have been talking with them for over a year to prepare for this trip and they were incredibly prepared, flexible, clear, and caring. I would highly recommend working with both groups again. As an engineer, it is essential to recognize the differences in cultures and to respect the people and their customs.